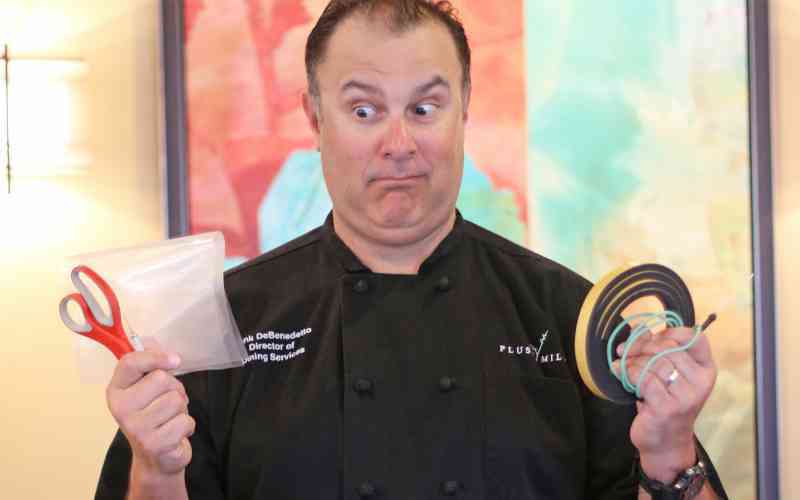 Weatherstripping, scissors and a temperature probe are among the new chef’s tools. Sous Vide – it’s a French cooking technique that produces amazing texture and intense flavor. SageLife Director of Dining, Frank DiBenedetto and his staff studied the technique with Bruno Goussault, a pioneer in sous vide cooking who has trained chefs around the world. Join us for a special tasting at the Welcome Center.